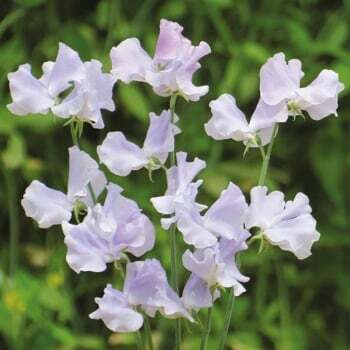 These Mr. Fothergill's Sweet Pea Charlie's Angel seeds from Ruddick Garden Gifts have large, frilly blooms on long stems making them ideal for cutting. These hardy annuals will grow to 6ft in height and have a glorious scent. Average of 20 seeds per pack.